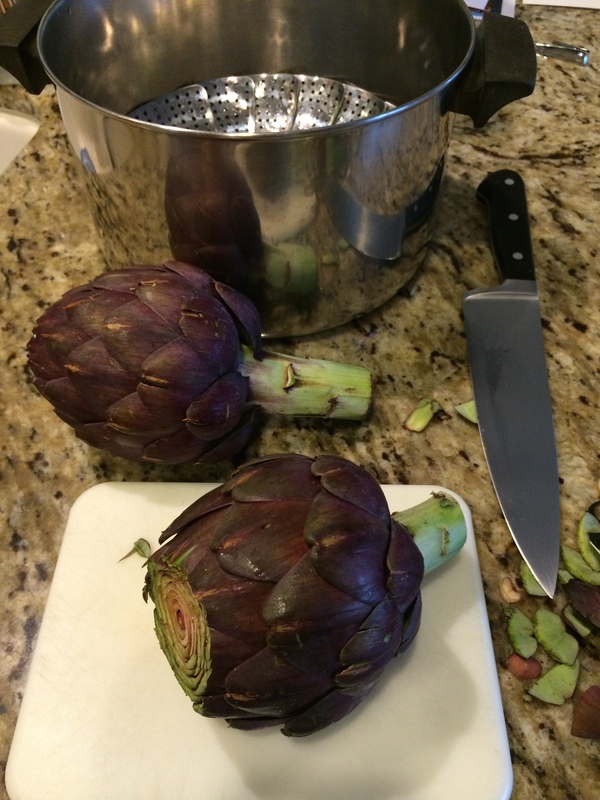 Purple Artichokes, ready to prep. 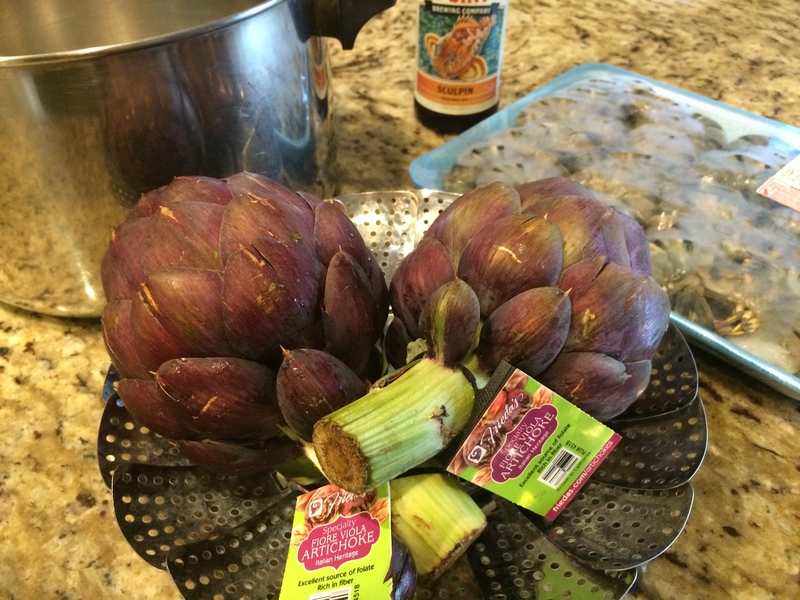 I grew up eating artichokes and wondered if these tasted different. After a wash and trim, they were ready for a 30-40 minute steam. I didn’t trim the thorny top from each leaf… ain’t nobody got time for that. I highly recommend sticking around the kitchen to ensure your pot doesn’t boil dry (read: don’t go start writing your blog post for the night) . We can testify that your home and the outermost leaves will smell something reminiscent of an ashtray… yep. Once past the first three or four leaves, though, it was all a happy, butter-drenched extravaganza. Let’s admit it, artichokes taste great but are really just an excuse to eat more butter. The Purple Artichokes were just as delicious as a regular Globe Artichoke. No notable difference in flavor or texture. Oh my gosh. Thank you so much for your kind word! Yes, we are still around, going on 53 years of inspiring home cooks everywhere with exotic produce! Our founder, Frieda Caplan, is going to be 92 this year and she still comes to work everyday! If that doesn’t inspire us to bring great new products to your local store, I don’t know what does! 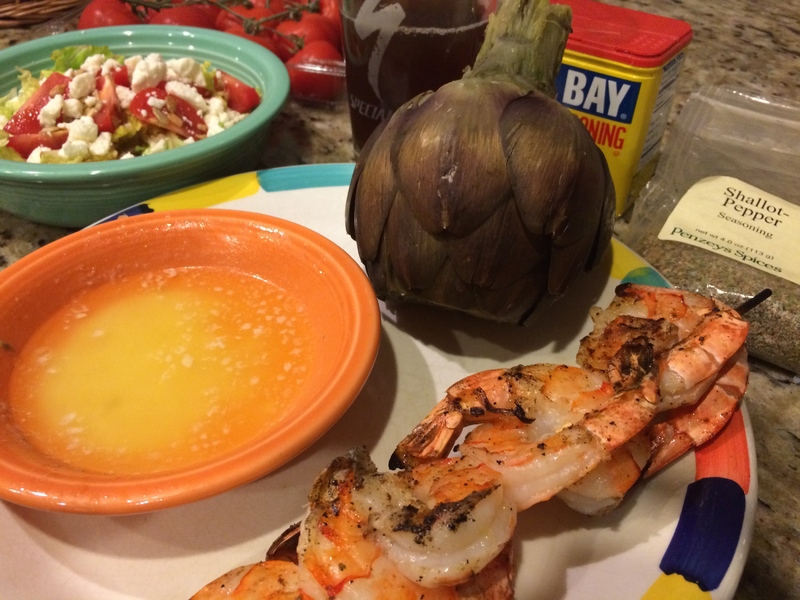 We are so happy to hear that you enjoy our Sangria artichokes. We love their meaty leaves and nutty flavors. The season is on the short side this year, but they’ll be back again in the fall. Again, thank you for thinking of us! You are most welcome! Honestly, I really do remember Frieda’s being my intro to looking at foods available in my local grocery stores in a whole new way. From there I ate up every food magazine, cooking show, and cookbook. Frieda sounds like my 98-yearold gramma, who only recently slowed down! Thanks! Liked your last two posts on your blog- the final verdict for Zinc was clever, and I loved the paraphrasing on the Bible verse. That in particular got a snort out of me! Next Next post: A New Wine, a Busy Week, and Good Night!